Home / Blog / Volunteer spotlight: meet Celeste. What inspired you to volunteer at Feed More? 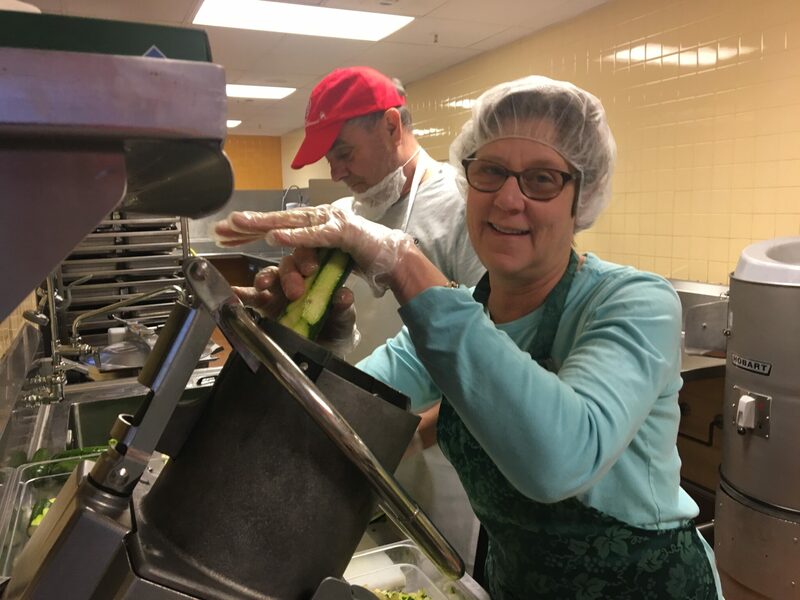 I was drawn to volunteer at Feed More because of the mission to impact hunger and the cooperative way in which Meals on Wheels and the food bank came together years back. How do you lend a helping hand at Feed More? And how long have you been doing it? I volunteer primarily in the Community Kitchen and the Distribution Center, but have also enjoyed being part of Zest Fest, Broad Appétit and other events as they pop up. What do you love most about volunteering at Feed More? What I love most about volunteering is the hair nets! And the hugs and laughs. The chefs and warehouse folks are wonderful to work with and the camaraderie with fellow volunteers feels like family. Where is the coolest place you have traveled to and/or want to travel to? I love the beach and the Pacific Northwest. When you’re not volunteering, what is your favorite thing to do in Richmond? When I’m not at Feed More, my happy place is in my garden or playing music. Why should people volunteer at Feed More? Because there is so much need and there are varied positions so everyone can find somewhere to fit in. Plus, the Feed More staff make sure you know you are appreciated.